Charting the Links Click below to see a graphical representation of the links created by the Bridging the Gaps project. Bridging the Gaps: Sustainable Urban Spaces was a EPSRC funded programme which ran for three years between 2008 and 2011. You can download a copy of the final report for Bridging the Gaps by clicking here. If you are interested in cross-disciplinary research into urban sustainabilty issues, please visit the website for the UCL Grand Challenge of Sustainable Cities. Brdging the Gaps held their final event on the 16th of February. The event featured presentations from David Price (Vice Provost for Research at UCL), Paul Finch (Chair of the Commission for the Built Environment). The event was also a chance for Muki Haklay and James Paskins to give an overview of the programme, and for some Bridging the gaps participants to describe the research that was funded. View more presentations from James Paskins. The presentations were followed by a reception in the North Cloisters, featuring posters that described the range of the work funded by Bridging the Gaps. Bridging the Gaps hosted presentations from two researchers from EMPA, a swiss laboratory for materials science and technology. Researchers from EMPA have been working with the Duracoat project team, one of the research groups formed and funded at our first research sandpit (Little Green Things: Nanotechnology and Sustainability Challenges). The first presentation, by Klaus Richter (Klaus.Richter@empa.ch), gave a general introduction to the institution and the range of work carried out by EMPA. The second presentation, by Christian Lehringer (Christian.Lehringer@empa.ch), described the research at EMPA into the use of nano-objects in protective coatings for wood. Christian has worked with the project team on "Duracoat: Using nanoscience to protect wood". A presentation about Bridging the Gaps was made at EASST_010, the biennial conference for the European Association for the Study of Science and Technology (EASST). The presentation was part of a stream titled "Engineering Practice: performing a profession, constructing society". All the papers from the stream can be found here. The Bridging the Gaps presentation is shown below. The second Bridging the Gaps sandpit was held on the 20th and 21st of May. Bridging the Gaps held their second sandpit event, "Sense and Sustainability: Networked Sensors for the Urban Environment", bringing together researchers from Civil, Environmental and Geomatic Engineering (CEGE), Electronic and Electrical Engineering (EEE), Computer Science, Chemistry and the Bartlett Graduate School to explore the ways in which sensor networks could be used to address urban sustainability challenges. The first-prize winning project, "What's my energy footprint?" received £10,000 to begin research into a low-cost system that would give real-time, individual feedback on energy use. Their research will investigate how data from various sources, GPS, smart energy meters, RFID tags, etc. can be fused to create a picture of an individual’s activities and the energy use associated with them. Other funded proposals included a low-cost sensor network for air-quality monitoring that would use a mix fixed and mobile sensors, a system for increasing the energy efficiency of cloud computing by intelligently balancing the processing load across data centres, and a wireless monitoring network to improve the energy efficiency of historic properties. Click here for more details about the 2010 sandpit. The launch event for the UCL Environment Institute Report on Megalopolises and Sustainability took place on the 17th of March. Professor Mark Maslin, director of the UCL Environment Institute, introduced a a presentation by Professor Yvonne Rydin who, together with Karolina Kendall-Bush and Marianne Knight, organised the seminar series. After Professor Rydin had outlined the findings of the report, a panel took questions from the audience about their implications. Click here for a full list of the seminars, including lists of speakers and summary reports. Bridging the Gaps is holding a sandpit event over the 20th and 21st of May. 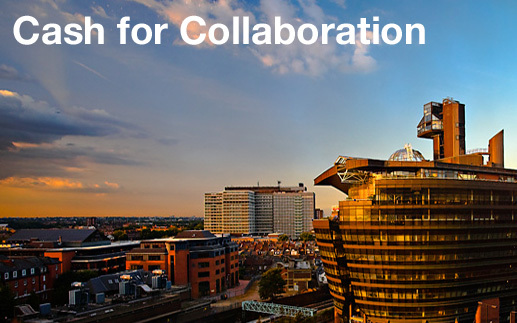 Bridging the Gaps sandpits address areas that require collaboration between disciplines. The aim of the sandpit is to form new cross-disciplinary collaborations at UCL to carry out novel sustainable urban environments research. This year's sandpit, Sense and Sustainability: Networked Sensors for the Urban Environment, focuses on the use of networked sensors to monitor aspects of the urban environment. The most obvious collaborations would be between the ‘digital’ disciplines (computer science, electronic and electrical engineering) and the ‘built environment’ disciplines (civil engineering, environmental engineering, architecture, urban design), but collaborations can include anyone who has a urban sustainability question that can be addressed by using sensor networks, and anyone who has an interest in sensor technology or handling the data they produce. Any research area where data can be gathered from the urban environment using a network of sensors, and then applied to an urban sustainability problem. The sandpit format allows research areas and groupings of researchers to emerge from participants' interests over the course of the event. The research collaborations are then funded, based on a review by all participants, from an overall fund of £30,000. The Environmental Institute's Megalopolis report will be launched on the 17th of March. 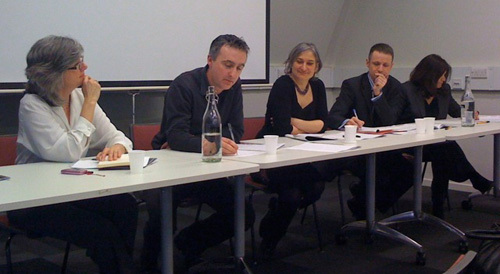 In the first half of 2009 the UCL Environment Institute, supported by Bridging the Gaps, held a series of seminars that addressed sustainability and the megalopolis. The report synthesizes the results of 21 presentations and related discussion. 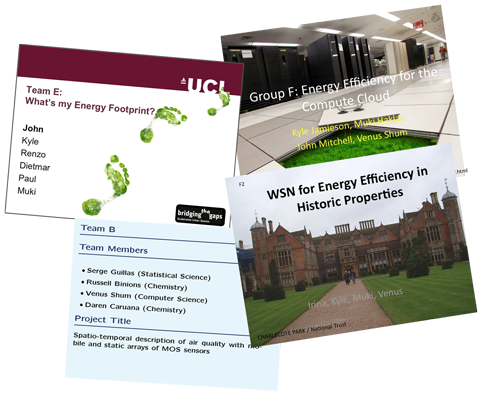 You can find summaries of the seminars on the UCL Environment Institute website here. For the last two years Justice in the Green has allowed students on the MSc in Environmental and Sustainable Development course to examine the issues raised by the use and appropriation of green spaces by local residents and organisations. Justice in the Green was organised by Adriana Allen, Alex Frediani, Pascale Hofmann and Rita Valencia with support from Bridging the Gaps. The focus of Justice in the Green is the use of Hackney Marsh and connected green spaces by the surrounding communities. To find out more please see the video or the short feedback report from Pascale Hofmann and Muki Haklay. You can see more about Mapping Change for Sustainable Communities in this presentation from the DPU (Development Planning Unit). As part of the Bridging the Gaps programme we run a series of events for our departmental champions. The events are a chance for researchers to meet each other and learn about the research activities in different departments.